Amazon has the Hatchimals CollEGGtibles - Waterfall Playset on sale for just $3.88 (regularly $14.99). This is an add on item. It will ship with a purchase of $25. 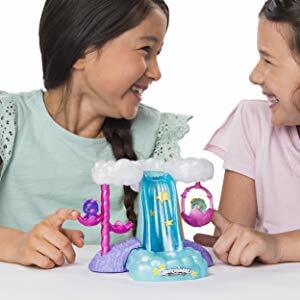 Make a wish and slide down the Hatchimals collectible waterfall playset! this playset’s glittery waterfall really lights up, bringing the world of hatchtopia to life! pull out the pool and take your Hatchimals on a Starlight dip. or send them down the slide and time it with the lights! if they land in the pool, their wish will come true!